A non returnable payment of £50 is required to secure your booking, with the balance to be paid six weeks prior to the start of your holiday. You can also do payment installments. In addition, a £150 damage payment is required, to be paid with the final balance. This will be refunded to you within 5 days after departure providing there is no damage. 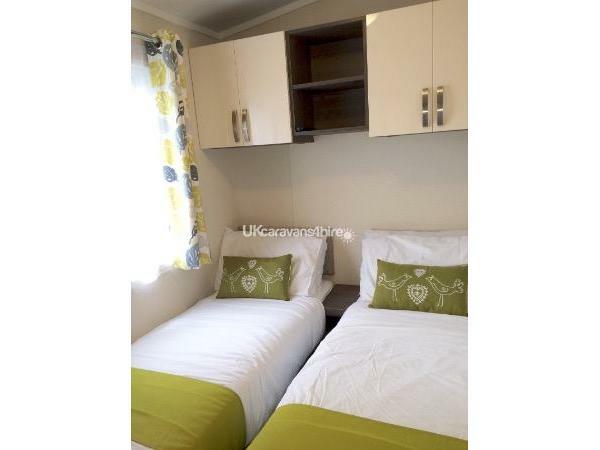 Our privately owned platinum grade caravan which has been designed with style and contemporary living. One of its many benefits is the spacious 13ft wide layout providing even greater room for relaxing and enjoying your holiday time. 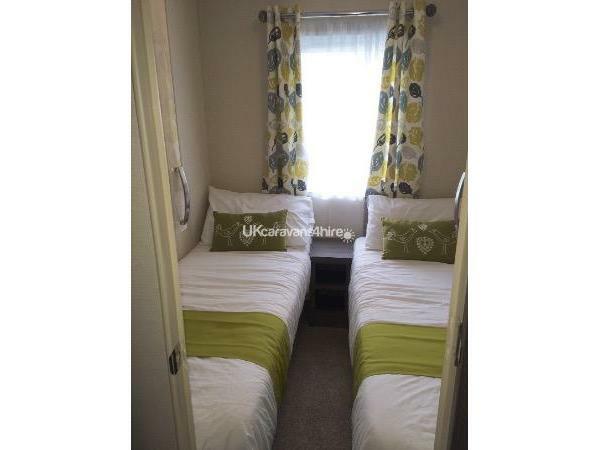 The caravan is sited in a lovely quiet area of The Meadows only a 5 minute walk from main complex and 10 minutes to the beach. The caravan is double glazed and has central heating through out, with electric fire in living area. We have tried to make this a home from home. There is a selection of toys, games, books, puzzles, drawing,?DVDs, Playstation 3 with controllers ( you would just need to bring your own games ), firestick, Netflix, TVs, baby bouncer, and high chair for your use. KITCHEN/DINING ROOM - Open plan, oven, large intergrated fridge freezer, intergrated dishwasher, intergrated microwave/oven, breakfast bar with 2 stools, and free standing table and chairs ( seat 4 ). LIVING ROOM - Patio doors opening onto decking, 40" TV, DVD player, firestick, Netflix, TV, flame effect electric fire, leather corner sofa with with recling seats, coffee table, bluetooth speaker, toy unit, games, puzzles, drawing, and toys. MAIN BEDROOM - kingsize bed, memory form mattress, ensuite WC, hairdryer, 24" TC/DVD combi, alarm clock, usb plug socket. 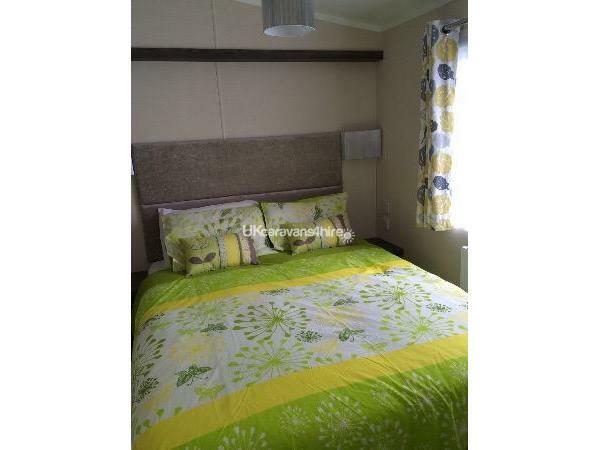 TWIN BEDROOMS - with wardrobes, both rooms with 19" TV/DVD combi, and alarm clocks, usb plug socket. BATHROOM - sink, toilet, large shower cubical, plenty of cupboard space. GARDEN - side of the caravan with picnic table where children can play. PARKING - space for 1 or 2 cars next to/infront of the caravan. USB charger sockets in all rooms. 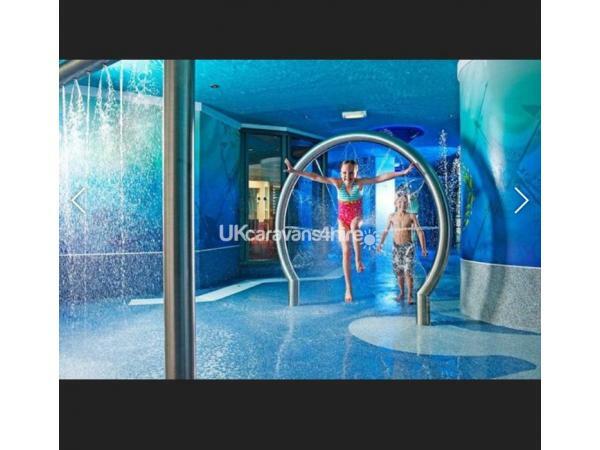 3 or 4 nights Adults- £35.20 each, Child- £17.10 each. ALL CHILDREN UNDER 4 YEARS FREE. 3, 4, 7, 10 and 14 night breaks available. Please contact for price and availability. A £50 NON-REFUNDABLE booking deposit is required for each booking with the remaining balance due 6 weeks prior to the start of the holiday. You can also pay in installments. A £150 damage deposit is also required, and will be returned ( less any deductions for damage or bill the hirer for additional cost ) within 5 days. Arrival time between 12pm - 1pm. However you can arrive earlier and use park facilities. Keys are in a key safe box and code will be given to you on the day you check in. 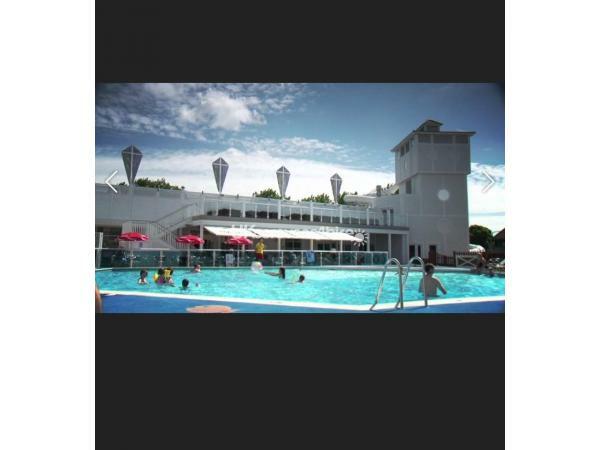 Additional Info: On-Site Pub/Club, Amusement Arcade, Indoor Pool, Restaurant, Kids Club, Heated outdoor pool and loungers, indoor heated pool, SplashZone water jets and tower flume.Nightly entertainment - kids clubs, discos, evening shows and live acts.Harbourside - brand new fish restaurant and take away, Papa John's - take away pizza (or get it delivered to your caravan! ), coffee shop with smoothies in the summer, Mash & Barrel family restaurant. 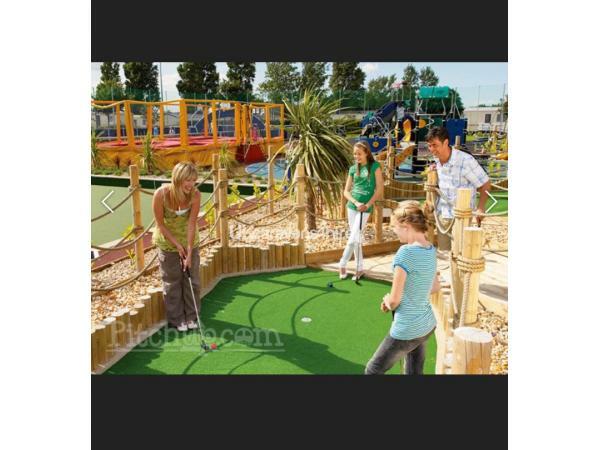 Crazy Golf, Takeaway, Grocery Shop, Laundrette, WIFI - 15 minutes free wifi (per devise) every day in the caravan and everywhere on site. Daily and weekly access available to purchase (£7 per day or £18 per week)Heathland nature reserve with walks down to the beach, Onsite little beach with water sports activities - kayaking & canoeing, stand up paddle boarding, waterskiing & wakeboarding, windsurfing, sailing hire and courses - and beach activities - crabbing, eco patrols and beach volleyball, All weather multi-sports courts, bike hire, climbing wall with abseiling, Kids sports coaching - archery, basketball, football and fencing, Brand new day SPA with a wide range of treatments and relaxation facilities including a relaxation zone and outdoor sun terrace - somewhere to escape for an hour and relax! We stayed in the beautiful caravan last July with our 2 kiddies upon our return this year the caravan is still like new. So clean and well equipped with everything you need. 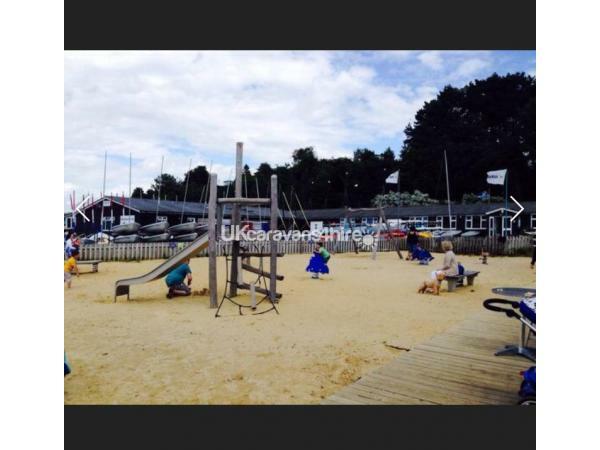 Recommend a day out to sandbanks, the beach is amazing. Thank you Marilyn for everything look forward to coming back again next year. We have just enjoyed a mid week break in this amazing caravan. We have found everything we needed and appreciate the modern decor and spotless cleanliness. The park is well maintained and a walk over the nature reserve is not to be missed. Thanks for the great stay we hope to return in the future. Thank you Marilyn for sharing your lovely caravan with us. Everything was prefect and very well equipped. You have been very helpful and I am sure we will be back again very soon. Hi Marilyn and family. Many thanks we have had a wonderful stay in your well equipped carpet. We stayed for a long weekend to celebrate my fathers 80th birthday who lives nearby. The children enjoyed the toys and DVDs and spent everyday at the pool. We have had a great time and are sure to be back in the future. All the best. Hi Marilyn and family Just to say wow! What a lovely caravan. Had a lovely stay here you’ve thought of everything very happy. Would recommend to friends and family. Many thanks. Hi Marilyn. Thank you very much for such an amazing place. We absolutely loved it. Would definitely recommend it to everyone. All the best. Dear Marilyn and family. We’ve only been here 24 hours and we’ve booked your lovely Immaculate and very homely caravan for next year. Just perfect and so well equipped and decked out not only in the kitchen but with all the toys for our two-year-old who was just so excited when she arrived, almost as excited as my husband who said when we arrived can we not go home. Thanks for everything Marilyn and looking forward to coming back in 20 thanks for everything Marilyn and looking forward to coming back in 2018 already. Hi Marilyn We have had a lovely stay in your caravan. The kids loved the toys and the DVDs helped at bedtime. It’s been wonderful to stay in a spotless clean caravan. Thank you and we would be more than happy to recommend you to family and friends. Hope to return again. Dear Marilyn and SIMON With many thanks lovely stay as always see you again next year. Dear Marilyn and family Beautiful clean caravan and well equipped. You all had a lovely break and enjoy the entertainment. Would highly recommend staying here. Dear Marilyn and family, We have had one of the best holidays ever. The beds were comfy and the bathroom is so clean and hygienic. 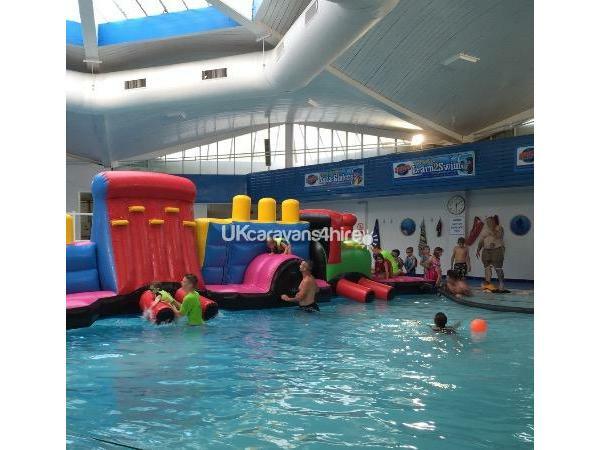 We visited durdle door, log lulworth Cave, Kimbolton beach and many more including the main area, swimming pool and beach. The state was wonderful the caravan was so lovely. We hope that we have left the caravan clean for you. Thank you so much for accommodating us in your holiday home. Your home is lovely! Thank you for sharing it with us. We will be back!!! Lovely home everyone really enjoyed themselves. 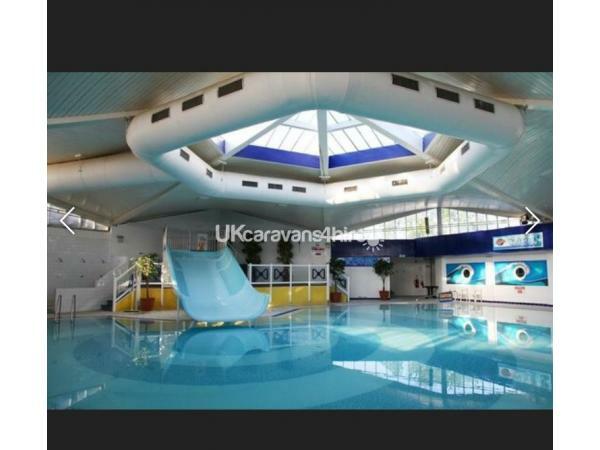 Best caravan we're stayed in. Lovely caravan we really did enjoy ourselves. Lovely decor. 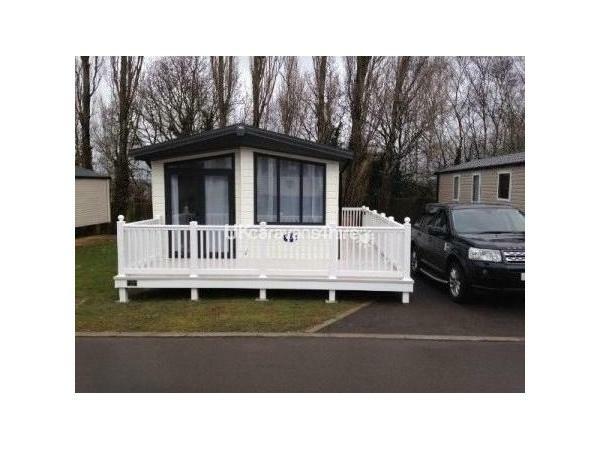 Lovely clean and comfy caravan, have had a fantastic time despite the changable weather. Excellent communication all the way. Thank you. Had a great few days only wished the weather could of been as nice as the caravan. The fixtures and fittings are superb and the double bed so comfortable and we both loved the paintings. Thank you. Fabulous caravan a real home from home. Lovely location close to lots of fun activities mya love playing with all the toys. We certainly will be coming back. Thank you Marilyn and Simon. 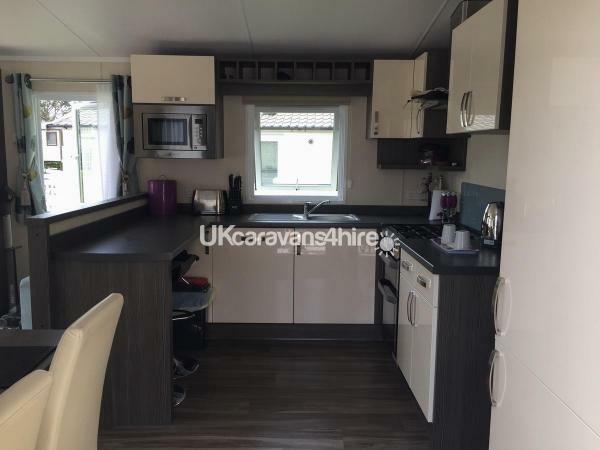 A lovely clean comfortable caravan. Well equipped. We love the new sofa. The campsite was very friendly and clean. The weather was lovely except for Monday we had good days and out at monkey world, Bournemouth and Weymouth thank you Marilyn and Simon. A wonderful week in a lovely holiday home many thanks. 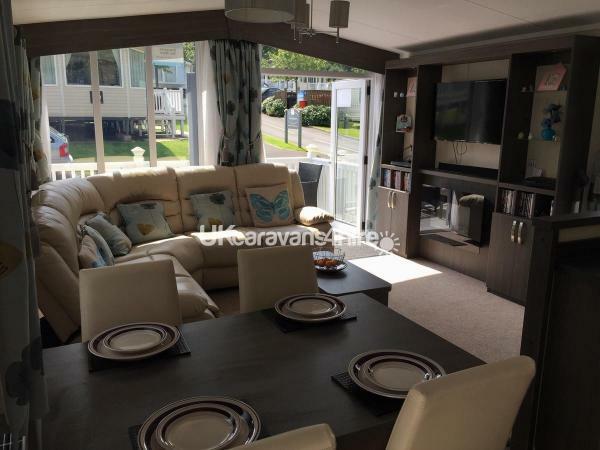 lovely caravan with everything you need, loved the decor and space a real home from home. Grandchildren enjoyed the toys especially the game set. Thank you Marilyn for all your communication. I'm glad you had a lovely time and you enjoyed our caravan. Thank you very much for looking after it and leaving it so clean after your stay. Thank you for sharing your beautiful new caravan with us. It has been very homely and a warm haven from the wind. Very welcoming and comfy, nice been next to the swimming pool and arcade. Caravan is stunning and loved my holiday here. Thank you. Beutiful holiday home with everything you could need, a real home from home. Lovely well kept site and a great base for exploring Dorset from. Lovely owners, warm welcoming and great communication thank you so much. This is the second time we have returned to Marilyn's holiday home. The position is perfect for us, being quiet but not too far from the pools etc.there is everything you could need in the accommodation and of course last but not least the wrap around balcony. It really makes a difference.